Police are appealing for information after a 13-year-old boy’s mountain bike was stolen from outside a shop. The bicycle was taken from outside the pavilion shop in Manor Park, Glossop, at around 4.30pm, on Saturday, June 10. 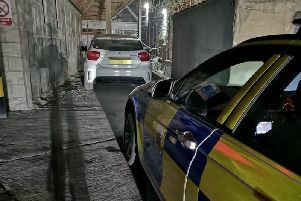 PCSO Ann Morris, of the Glossop Town Centre Safer Neighbourhood Policing Team, said: “If anyone has any information about this incident, or if they saw anything suspicious please contact us. The bike is a black, B’Twin Rockrider. Anyone with information should call PCSO Ann Morris on 101, quoting reference 17*243931, or they can send a message to her online through the Contact Us page of the website: www.derbyshire.police.uk/Contact-Us. Those with information can also contact Crimestoppers anonymously on 0800 555 111.